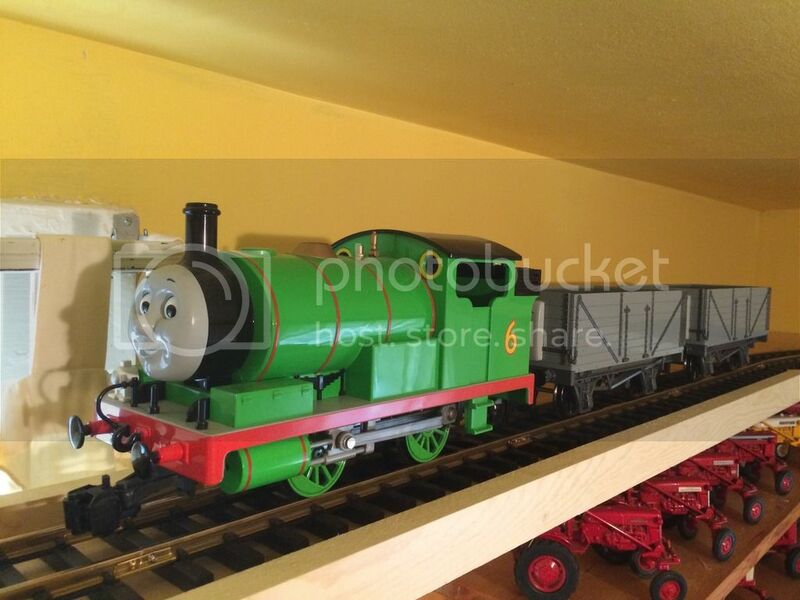 I really like the set up, it looks really nice seeing the wagons and tankers lined up together in the yard like that. The signal box especially looks really nice over there too. Glad to see that the public enjoyed the setup too. Just had a surprise... Found out that there is a 4th figure in the range... 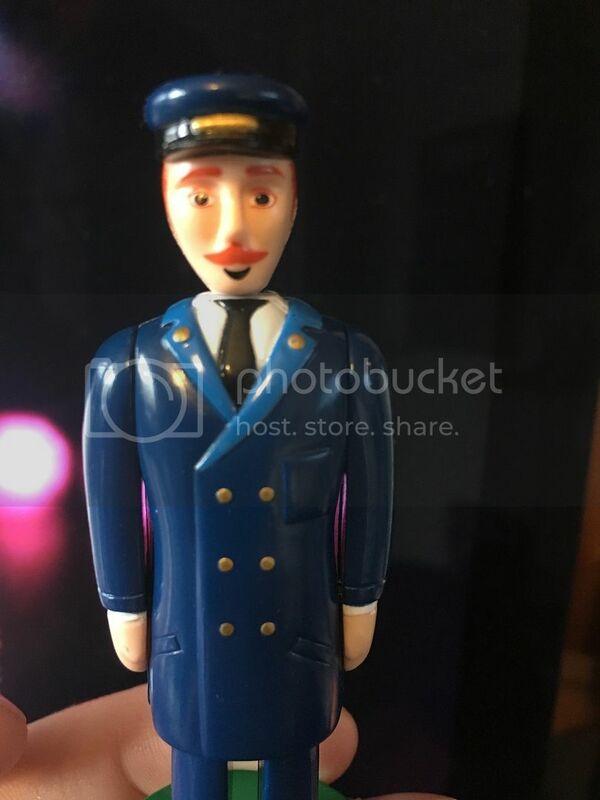 It's an exclusive conductor/guard in the Salty HO set! So bored of waiting for new product we've bagged the set ;-). It's the little things sometimes... But a welcome addition to our collection. 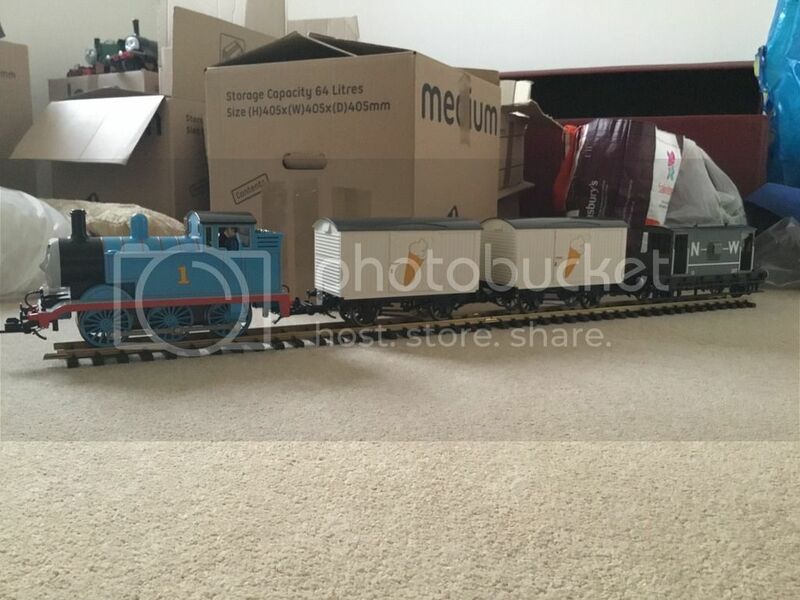 I've been collecting large scale Thomas models since 2010 with my first product being the large scale Thomas, Annie, and Clarabel set. I've got probably just a small handful of the models from the range and also models from Bachmann's Big Hauler and Spectrum ranges. 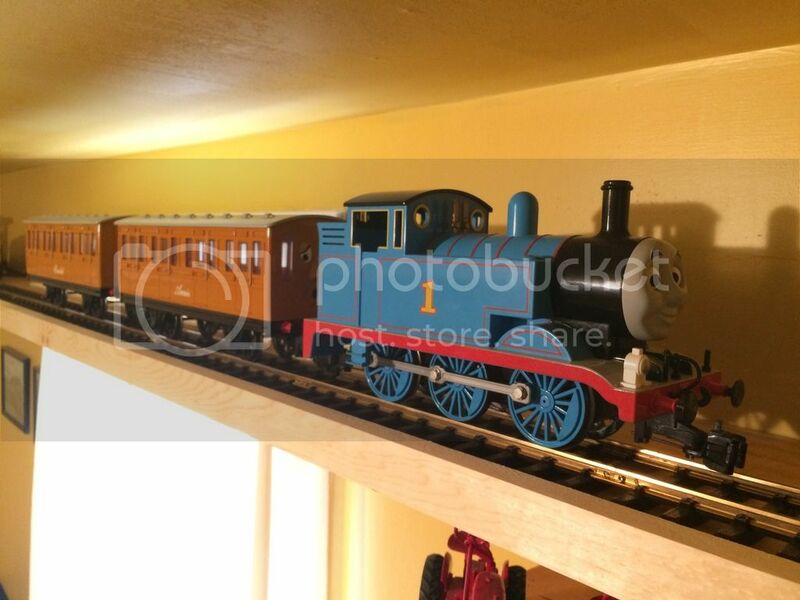 I've also got a few Lionel, LGB, and Aristo Craft models as well. 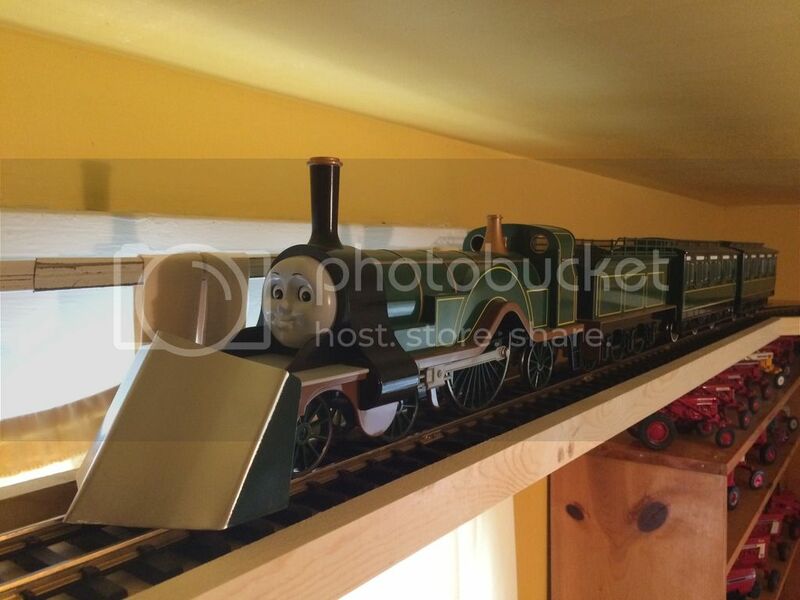 Just last winter my collection of large scale trains expanded so much that I actually built a shelf layout for around my room. The shelf itself is done, but I still need to get more track to finish building the layout around it. I also upgraded from steel alloy to brass track. 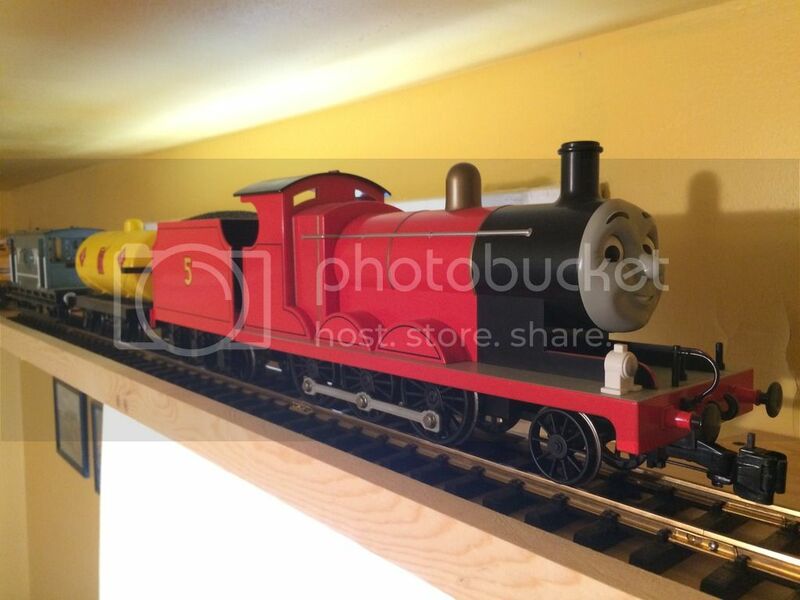 Although I can't show everything I have at the moment, here are a couple of the Thomas models I have in my collection. You'll notice I have switched from hook n' loop to Bachmann knuckle couplers to make my Thomas models compatible with other models in my collection. Questions and comments welcome. 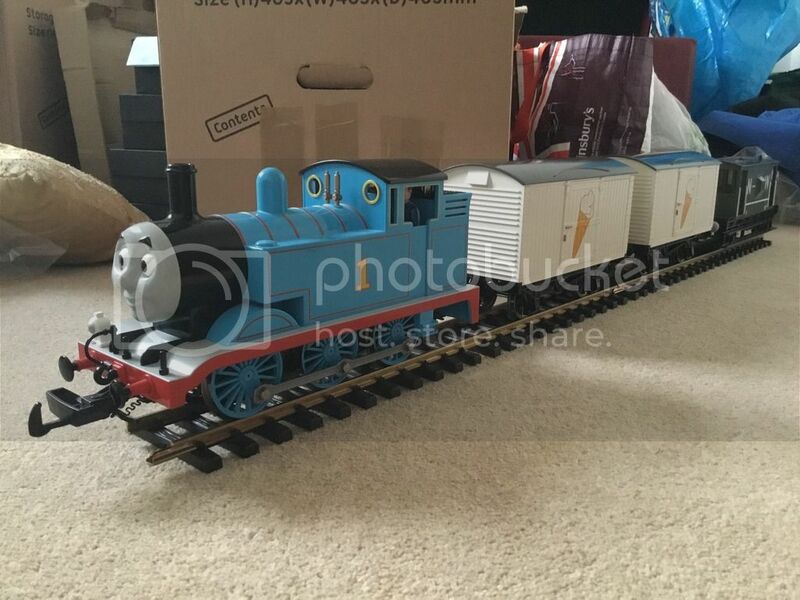 Coaches for James would be a nice obvious choice..
Trickier 5 Comp like in "James and the Coaches"
Keen to know others thoughts, we currently have a spare Annie & Clarabel and Set of Emily's Coaches for kit bashing but I'm keen to add value. 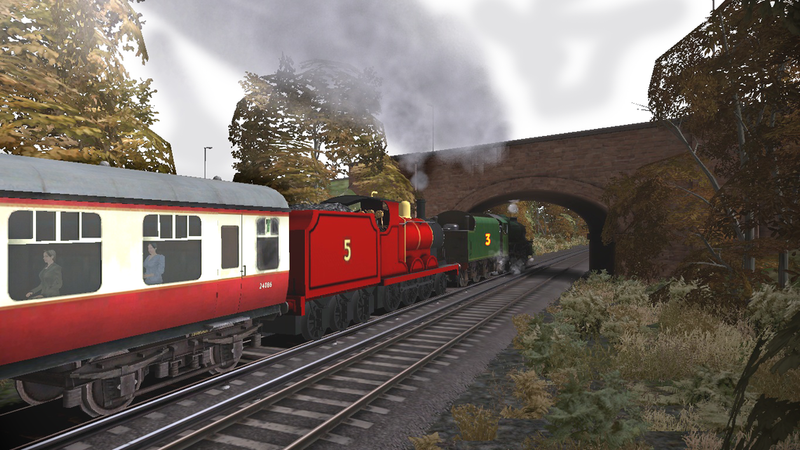 We've considered the Old Coaches as well and I'm also musing weather to create a version of the Works Unit. 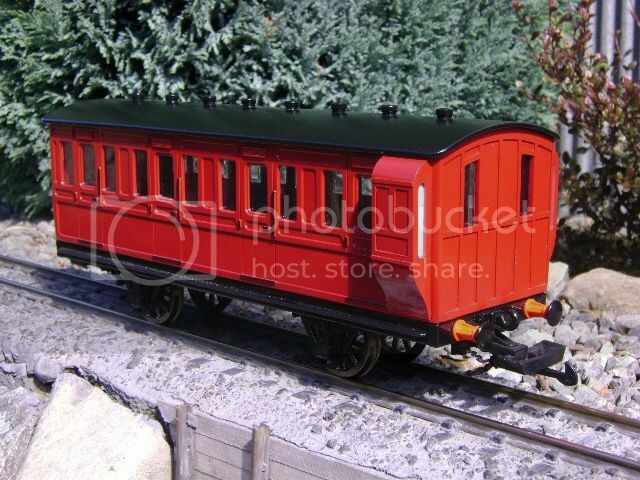 This on the Ashburton Railway is a great example of custom building, however I wouldn't risk the red coaches myself, as they are a hopefully obvious choice for Large Scale by Bachmann (Hopefully). Fantastic Inclusion in the June Newsletter is that 98015 Ice Cream Wagon is released! This is the first wagon in the Box Wagon mold and a welcome addition to the fleet..
Now it's in the US I wonder how long before it appears in the UK? Just wondering if anyone here has gotten the Ice Cream Wagon yet, as I'm curious to see the detailing on it, but I'm not ready to buy it myself, yet. 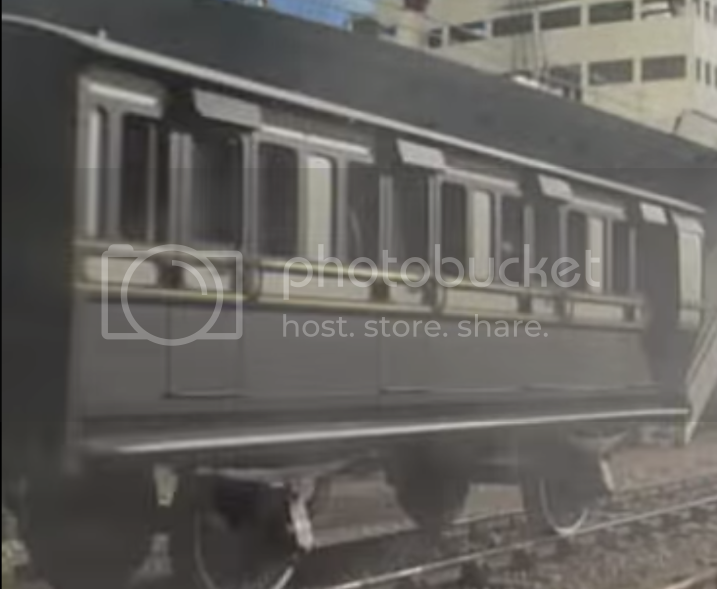 I think Thomas fans are more excited for the upcoming liveries of the LMS box car van wagon than they are the ice cream wagon. This ones gonna be a real melter...! Ice cream is ready, just need the weather to match! In the process of unpacking from a move, so test run will have to wait for now! Those look pretty nice actually. Are the Ice Cream logos 3-dimensional, or are they just painted on the sides? Next to the white of the milk tanker, it does have a yellowish hue, as does the cream tanker - but you're right, it's a little on the ivory side. There is some nice 3D moulding of the doors, but the ice cream logo is painted over this. Images of two of the new vans are up on the website. 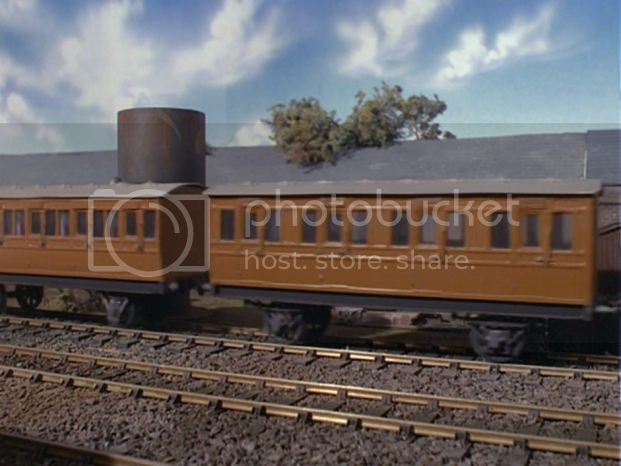 The Great Western van is the nicest one out of the bunch, I can also see it selling better than the ice cream wagon too. 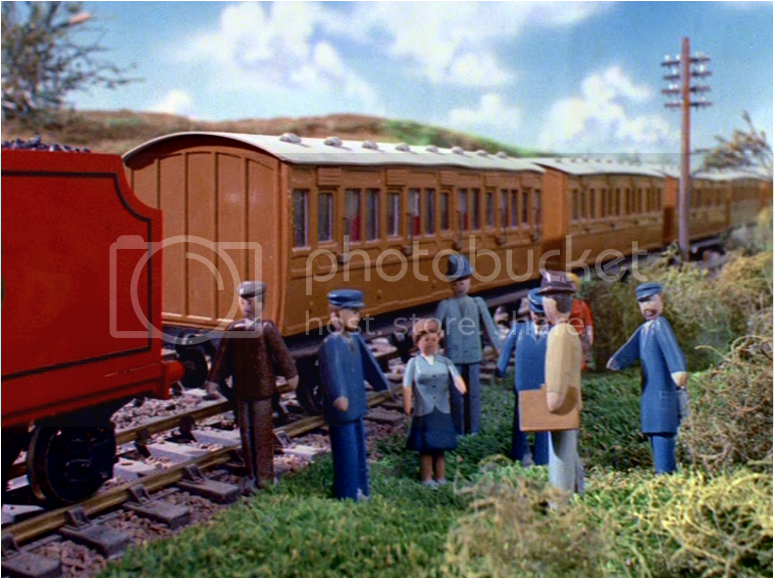 That Great Western van is definitely beautiful.